Board games have an orientalism problem. This is just a given. If you want to try and talk about the ways Asian nations are perceived and treated in board games, that’s just a given. The problems of Orientalism are about ways that Asian nations are reduced to inhuman archetypes, given alien explanations for their behaviour, or treated as fundamentally exotic. But that is to me a boring bit of background radiation. It’s not that it’s not a problem, it’s that it’s a problem that you have to completely misunderstand to not recognise. Like, seriously, if you claim there’s no Orientalism in board games, you must not understand what Orientalism is. Representation in media is always going to be carrying its colonial baggage and the only way to address that is to acknowledge it, understand it, and fight it. But again, this is boring. Instead, think about why this problem is the way it is. 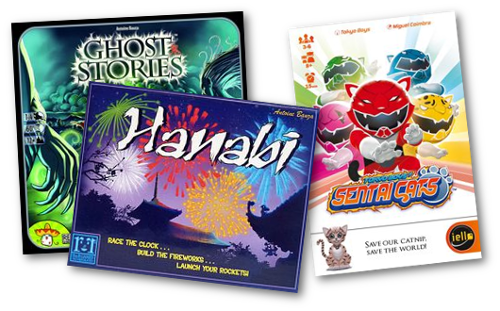 Right now if you look for ‘Asian’ games in board games, you find a lot of things. You can find some really beautiful, elegant, fun, good games, games by great designers. 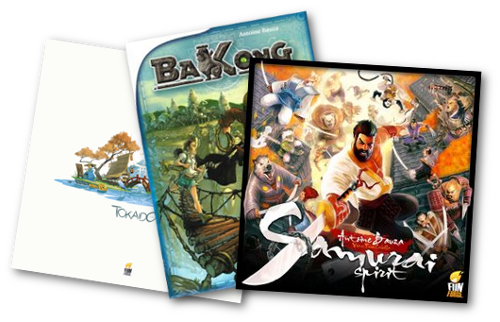 The problem is, if you want games that seem Asian, you find games that are French, German, Belgian, British. They’re designed in Europe, produced in Europe, drawn in Europe and playtested in Europe, and then they’re sent to China to get manufactured, and sent back to Europe to be sold in European stores. But when you talk about the people who get to make games, the names overwhelmingly show you this problem. I don’t have a problem with non-Asians making games about Asian things that inspire them. If nothing else I’d be a huge hypocrite to do so. I found the symmetrical nesting of the Chinese Zodiac appealing and created a game that spoke of an Asian-inspired culture. But while I was there I bore in mind that I was dealing with a tiny game, with one artist (me!) and with a minimal toolset. The problem is that these games are being made and produced and made to represent the market, made to be Asian-ness in games, and the games made by Asian people are not. The sad truth is there are only so many jobs out there with the title of ‘Board Game Designer.’ As big as the market is, there’s only so much room in the current model for how they get made (and yes, Kickstarter defies this model but we’ll get to that). This is why you’ll see the same ten names if you go through any serious boardgame collection – the companies that produce board games of a certain material quality have already got designers on deck, artists they know, and manufacturers they rely on. This is all infrastructure of board game development. A single meeple will cost me something like 60 cents. If I buy 10 of them, each will be like 42 cents. If I buy a hundred, twenty cents. If I buy a thousand, well, I don’t rightly know. The things you can do at scale are very different. If you’re a company making a dozen games and you can buy all the meeples for all your games at once, you can get really low rates for them. The same with boxes, cards, plastic components. The companies in Europe that make board games are set up to make lots of board games, and that means that Europe produces a lot of our board games. This is a real problem! The problem is that this means that when you go into a store, it’s actually difficult to find ‘Asian’ games made by Asian people (and yes, the term ‘Asian’ is massive and it’s encapsulating about three billion plus people) because those people live in countries where they don’t have this infrastructure that’s about scooping them up and connecting their work to the work of the markets that we, in the west can observe. There isn’t a meaningful communication between the two. On the other hand, Japan has a cultural infrastructure for the fostering, examining and creation of art, and that’s something students can get into when they’re young, care about while they’re young, and stay caring about the whole time. My art is just not very good – I’ve been trying for twenty years, but I know it’s still very bad and sloppy, but I know part of that is that I’m not surrounded by people also doing art, I don’t have stores full of specific tools in regular walking distance, there aren’t regular conventions about examining or learning about this stuff. It’s infrastructure. It’s the stuff we’re set up to care about. Now there are a ton of great Asian games. The few I’ve seen direct from the source have been excellent and have included A Fake Artist Goes to New York and String Railroad. The trick is, from the west, finding them. Now there are things breaking this up – Kickstarter is letting people shortcircuit the publisher system. But kickstarter is a way of converting attention and luck into money. And that attention is almost always best refined through cultural groups. You get the people who care about your work to back your kickstarter. You’d think this means you’d widen your audience, but odds show it’s kind of not the case. If you want to make a Kickstarter Friendly game, which is a male-targeting miniatures-driven grim aesthetic game that hovers around the $60-$80 mark, you can tap that audience with a kickstarter that’s already getting some traction. But if you want to do something out of that type, well, your odds are best relying on the people who already liked your work. Good news, though, there are some solutions to this. A big one is finding what we call media capitals: These used to be spaces, but these days they’re people, who exist in both worlds. People who can connect these non-Western markets to the Western markets. This means listening to Malaysian game nerds, Japanese game nerds, Asian-Americans and Asian-Australians and all these people because they have some awareness of and connection between these spaces. That’s not to say any given Asian American is going to be an expert on Japanese games, for example. But you’ll find the first place to start with asking people who can see themselves easily in games about people like them. This builds on and expands thoughts I ran out in this twitter thread.